Admissions » Why Choose Berean? Choosing the right Private School can be tough. Berean Christian School is proud to provide this free guide to walk you through the process, step-by-step. 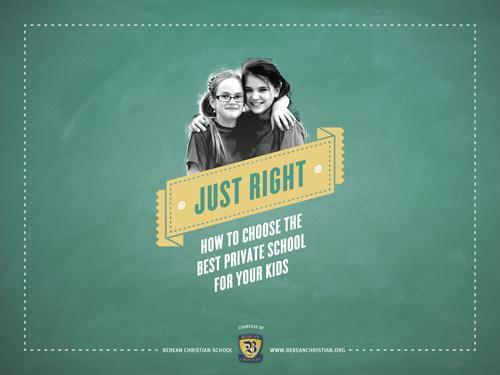 Just Right: How to Choose the Best Private School for Your Kids, will help you find the best school to meet your children’s unique needs and nurture his or her gifts. Helping your child succeed starts with making informed choices about their education. Read the guide, use its clear, step-by-step process, and your kids will be well on their way to becoming world-changers.